On Tuesday night I gave a little talk on the history of the La Reunion colony as part of the Dallas Historical Society’s Pour Yourself Into History series. 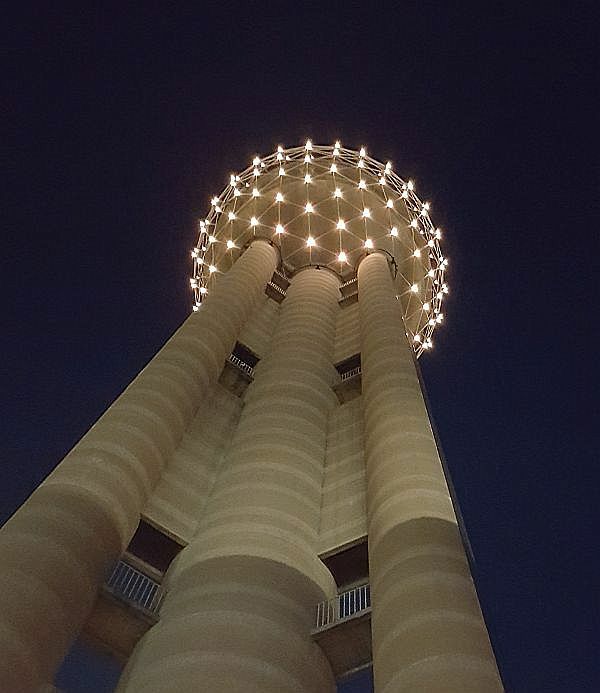 The event was held in the *very nice* Five Sixty by Wolfgang Puck restaurant high atop Reunion Tower — right in the ball. 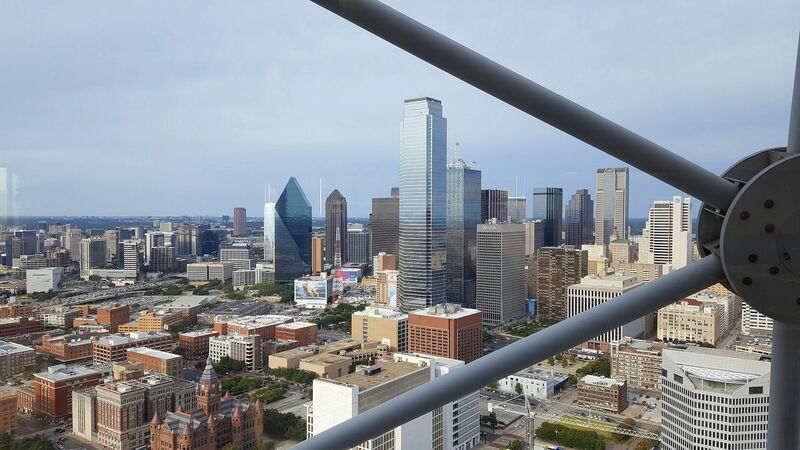 I was a bit of a last-minute fill-in presenter, and I hesitated to accept the invitation because I always feel awkward talking in front of more than, say, two or three people, but I really, really wanted to go up to the top of Reunion Tower. I hadn’t been to Reunion Tower since a family outing back around 1980 or so. Back then I was most fascinated by the fact that the restaurant slowly revolved to give diners a leisurely 360-degree view of the city (I always imagined it spinning out-of-control, pinning diners — and their meals — against the walls with centrifugal force, like a fine-dining version of the Spindletop ride at Six Flags, or The Rotor ride at the State Fair of Texas); but now, decades later, as an adult, the image of the spinning restaurant was eclipsed by the real star: the VIEW. It was a little noisy at the event Tuesday night, so if you were one of the very nice people who turned out, you might not have been able to hear anything I said! If you’d like to hear more about the history of La Reunion (and about Reunion Tower — and how, if a marketing agency had had its way, it might have been named “Esplanade” Tower), I enthusiastically recommend this very entertaining radio piece from Julia Barton (the La Reunion segment begins at about the 5:15 mark). I took photos, but they don’t do justice to the view. The really breathtaking vistas are at night, and, sadly, none of those photos came out. Seriously, if you’ve never been up Reunion Tower — or if you haven’t been since it was opened in 1978 — you should definitely go now. 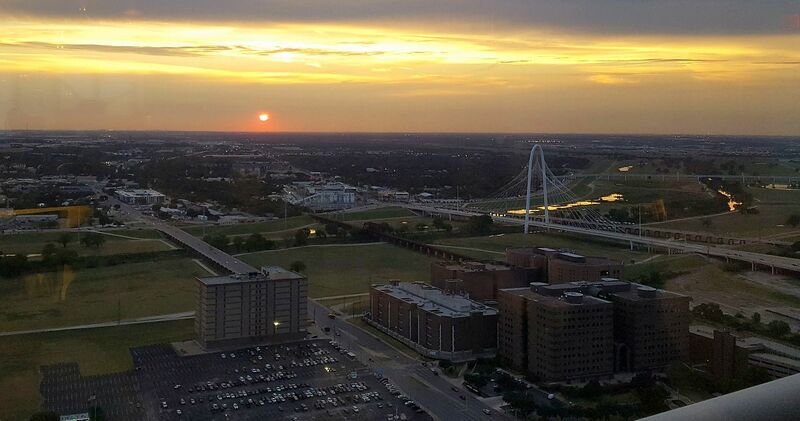 Better still, go at sunset and enjoy the best view in Dallas as you sip delicious cocktails. The view stretches for miles. 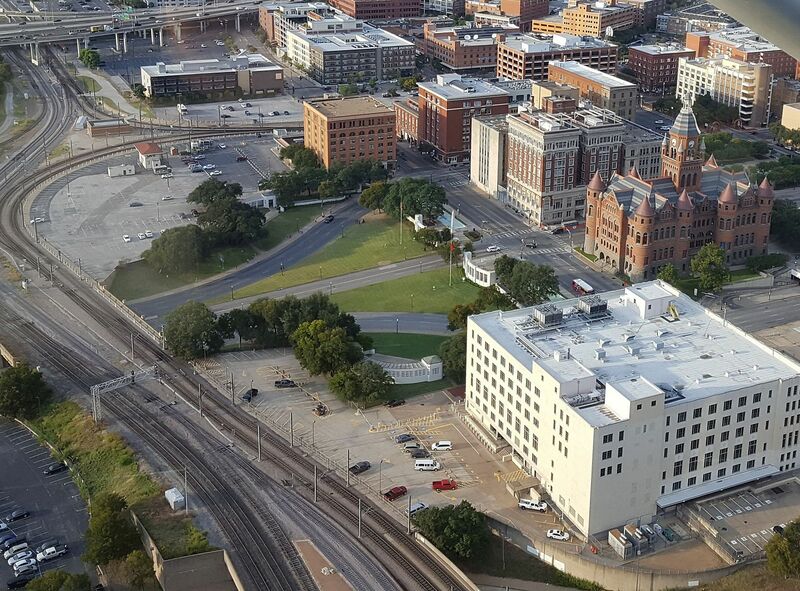 Here’s a cropped view of Dealey Plaza (click to see it really big). And, at sunset, the jail has never looked lovelier. Back down on terra firma, looking up and saying “goodbye” to the ball. Thank you, Dallas Historical Society, for inviting me to be part of your event! And thanks to everyone who came out … and up! Photos by Paula Bosse. Click ’em to see ’em bigger. 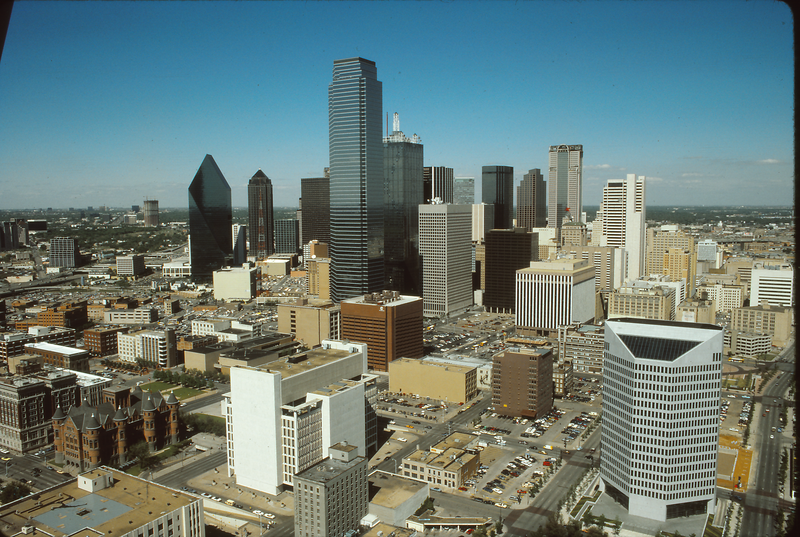 For more information of the La Reunion colony, see other Flashback Dallas posts here. You can see CityPlace East under construction and Momentum Place is almost finished. Wow, that looks like the *exact* same view!